In the light of “Aussie” Matt Kirk’s impending lawsuit against Kings Casino Rozvadov owner Leon Tsoukernik over an alleged gambling debt of $2m, Chinese/Canadian entrepreneur and successful high stakes poker player, Elton Tsang, has come forward claiming that Tsourkernik had also refused to pay him some €2,000,000 Tsang won from him in a high stakes poker game. 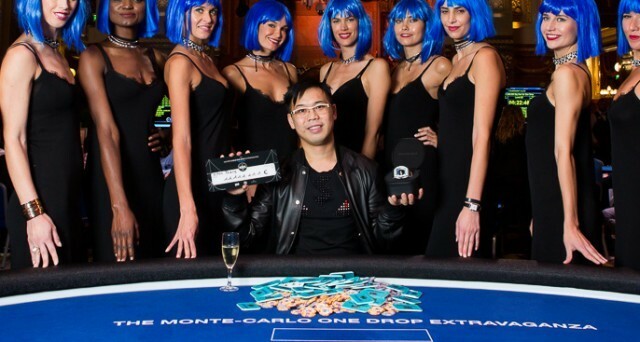 Elton Tsang, probably best known for his win at last year’s Monte Carlo One Drop tournament for over €11mmade the revelation in a recent CalvinAyre interview with Lee Davy. Tsang had gone to Barcelona for the EPT and says he had no intention of playing any cash games but he was then introduced to Tsoukernik by his friend Richard Yong and sat in what turned out to be a huge game alongside Tsoukernik, Dan “jungleman12” Cates, Tony G, Fedor Holz, Yong, Peter Chan, and Winfred Yu. The next day the game continued with Tsang once again intially going down €1.4m but managing to end the session down just €130k. Later in the day a third and final session went down with Tsang, Tsoukernik, Cates, and Christop “Tight-Man1” Vogelsang, and in this match Tsang ended up winning big from Tsoukernik, winning several 7-figure pots to end up €2m on the session. With Cates down only €200k and Vogelsang down just €65k, it was nearly all Tsoukernik’s losses. The game broke when Tsoukernik left the table that evening when his wife arrived. Tsang waited around for a while but eventually left the table and the game for the night. According to Tsang the next time he saw Tsoukernik was at a meeting the casino owner had called at the hotel coffee shop where he told Tsang he was going to offer him a proposal, which was that he would settle up with him for the first two sessions (a total of €1.19m), but he wanted to cancel the last game (where he lost €2m to Tsang). Tsang asked for a further meeting later that day where he told Tsourkernik that he ought to settle in full as it was a fair game but Tsoukernik was adamant that he wasn’t going to pay, saying that he thought the game was “strange and not fair”. In fact, Tsang says, Tsoukernik had around 90% of both Cates and Vogelsang’s action, so it was essentially Tsang vs the rest of the table! “Leon sent a lot of people to talk to me during this time, and they hinted to me that Leon is not a boy scout and stuff like that. Hinting that he has a background, etc, etc. I’m like whatever, if he is going to kill me, he is going to kill me”. Tsang says that when he heard the Matt Kirk story he decided it was time to speak out about it, and said that apparently Leon had done this before. Unfortunately for Tsang, he won’t be able to pursue his debt through the courts as Matt Kirk is doing in Las Vegas as gambling debts are not enforceable in Europe. When asked to comment, Tsoukernik sent a statement to Lee Davy essentially calling Tsang a liar and implying that people often try to take advantage of hims because of his position.